As a child, I grew up in the country just down the road from my Grandma Young on a small plot of land she carved off her 100 acre farm for my mama and daddy. After losing her husband to lung cancer near the end of the Great Depression, grandma’s only son moved his new wife from the city into his mama’s farmhouse where they worked and lived out the rest of their lives together. Although I didn’t know it at the time, we had a lively and eccentric family (even by Davidson County standards) and there was always an abundance of family members nearby, cousins, aunts and uncles. Ironically Grandma Young never seemed “young”. For the nearly twenty years I knew her, she was ancient. She never learned to drive a car and walked nearly everywhere she went. When she left her house, she carried a black pocketbook over her arm. She wore a drab shapeless dresses with thick “stockings” rolled down to her ankles and ugly lace-up black leather shoes. If it was summer or if she was working in the fields, she donned an old-fashioned calico sun bonnet (as she had done since she was a girl) covering her head and her long narrow face. In my memories, I do not see grandma in color, rather she exists like a still-shot black and white photograph, sitting in an old straight-back wooden chair with her clouded bad eye staring out at the fields absent-mindedly. Long before I came along as the baby in the family, our families had a tradition of getting together on Christmas Eve. Sometimes we’d gather in the basement of mom and dad’s brick ranch and sometimes in the small cramped living room of grandma’s farmhouse. It seems like we rotated houses depending on which family finished eating dinner first. Because my mama burned everything from cakes to iced tea, I preferred eating supper early and going to grandma’s house where my Aunt Johnnie was the hands down winner in the family dessert competition. She made all sorts of amazing cakes and pies, including her famous homemade Persimmon Pudding and fresh Coconut Cake. One of my favorite memories as a child is of sitting on the piano bench beside Aunt Johnnie singing Christmas Carols. Now if you made a list and told Santa all the characteristics that were needed to make the perfect aunt, they would have manifested themselves right there in that single stout and faithful woman. 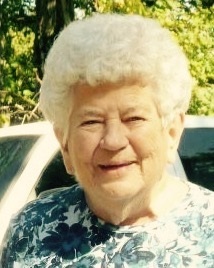 Aunt Johnnie was kind, patient, humble and generous of spirit. She was sweet and soft enough that I could nestle close beside her on the end of the piano bench without falling off. She never seemed in a hurry to go talk with the other adults or fix herself a piece of pie. I remember her swaying to the tempo of the music. Her fingers moved stealthily over the keyboard, her eyes focused on the pages of some old hymnal as her feet pumped the foot pedals. My favorite pedal, even after I learned to play the piano myself, was the one on the right called the damper pedal. It makes the piano sound both loud and soft at the same time, allowing each note to remain suspended in the air a few seconds longer to meld with the others before falling silent. I have often wondered if it was the fact that Aunt Johnnie lived out most of her adult life in her mother-in-law’s home that gave her an extra special dose of patience. It might have given her a special sensitivity for those of us that felt alone and needed some extra love at times. I always remember Aunt Johnnie fondly during the holiday season, but it is with a special tenderness this year. She passed away in February after a stroke and long illness and a mere five weeks after losing her grown son Bobby to cancer in the middle of January. I hold her and the family she loved so dearly in my thoughts and prayers on this first difficult Christmas with her gone. Today I continue to feel Aunt Johnnie’s gentle loving spirit. In the bustle of the holidays, she reminds me not to hurry so. She says not to worry about the shopping and the decorating. I hear her voice in the old hymns like Silent Night and Joy to the World. Her single greatest gift to me was the gift of her just being there. At the time, I doubt Aunt Johnnie felt she was doing anything special for me; she was just being herself and sharing her love with me. In the act of making enough room for me to sit beside her on that bench, it allowed me to feel truly special. Susan dedicates this piece to the memory of her beloved aunt, Johnnie Mae Wallace Young (1933-2015). May you all feel the love and peace of the holiday season.